It’s the question that has spawned all sorts of Internet debate in recent weeks: is Sony’s fledgling Spider-Man universe part of the MCU, or not? 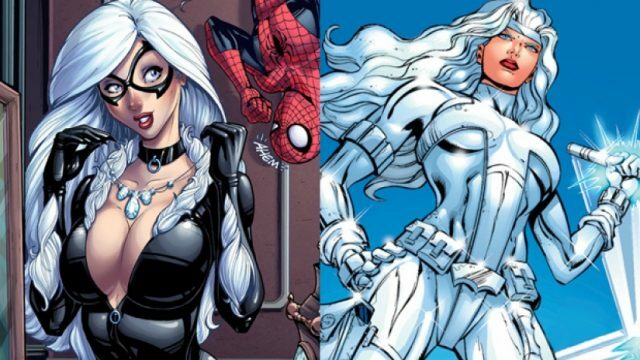 Despite some back-and-forth on the matter, both Kevin Feige and Sony boss Amy Pascal have now gone on record to stress that the likes of Ruben Fleischer’s Venom movie and Silver & Black, the upcoming spinoff starring Silver Sable and Black Cat, share no connective tissue with the Marvel Cinematic Universe. But even if Sony and Marvel’s films have been placed on two separate tracks, speculation is rife that select Spider-Man: Homecoming stars will cross over to Sony’s universe to help launch a number of projects – namely Tom Holland’s Web-Head and his purported involvement in that aforementioned Venom reboot. It’s unlikely, of course, given how adamant Feige and Pascal have been about keeping the two universes relatively separate, but Splash Report has compiled a series of allegations claiming The Scorpion will indeed appear in Gina Prince-Bythewood’s Silver & Black when the time comes. Better Call Saul fan-favorite Michael Mando is set to bring the character to life in Spider-Man: Homecoming next month, though it would appear that The Scorpion may become one of the first characters to make the jump over to Sony’s embryonic universe. Of course, there’s always a chance that Sony Pictures will draft in a new actor to play the role of The Scorpion, but whatever the outcome, Splash Report alleges that his involvement in Silver & Black will be comparable to Dave Bautista’s role in Spectre. An unnamed source is behind the rumor, so it’s best treating this tidbit with a heightened sense of caution. However that may be, it does align with those earlier rumors about Mendel Stromm’s involvement in the spinoff. According to my source, he plays a significant role in Silver and Black. He plays the the chief henchman for Mendel Stromm (a.k.a. Robot Master). Our source compared his presence in Silver and Black to Dave Bautista’s role in Spectre. A menacing henchman who faces off multiple times against Silver Sable and The Black Cat. He’s described as a massive muscular man with a cybernetically controlled mechanical tail. As things stand, Silver & Black has been pegged for release in October of 2018, which would place Gina Prince-Bythewood’s offshoot directly alongside Venom. We’ll be keeping a close eye on Sony’s release slate as this story develops.